We've spent the last two years here on this site discussing why the U.S. stock market represents a potentially dangerous asset to overweight within an investor's portfolio. Stocks recently hit an all time record price to earnings ratio when looking at the median stock of the S&P 500. While the 2000 market peak was skewed drastically higher by the technology sector, this time around the entire market was (and still is) incredibly expensive. By expensive I mean investors are willing to pay a high price to own the future (potential) earnings stream of a company. The investor's share of these profits comes in the form of dividend payments. These dividend payments represent the second leg of the market's parabolic rise since mid 2011. Along with stock buybacks (which reduce the number of outstanding shares available increasing the value of the remaining shares), companies have continuously raised their annual dividend payments to show yield starved investors around the world that the warm waters of the U.S. stock market were open for business. Not everything that has occurred over the last four years has been a mirage. 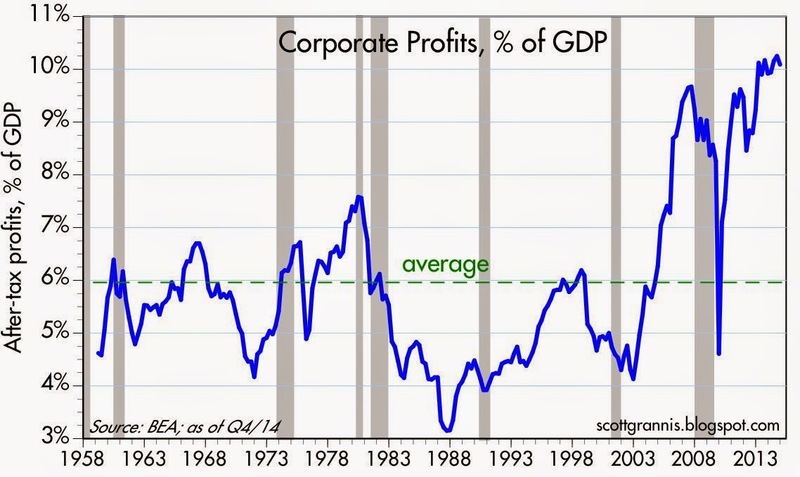 U.S. corporations were, up until recently, hitting all time record profits as a percentage of GDP. This has come in large part from the continuous reduction of their employee costs. In other words, companies have improved productivity. These three pillars of stock market growth have historically been mean-reverting data points. At some point in the future they will move from stock market stimulants to anchors dragging the market lower. 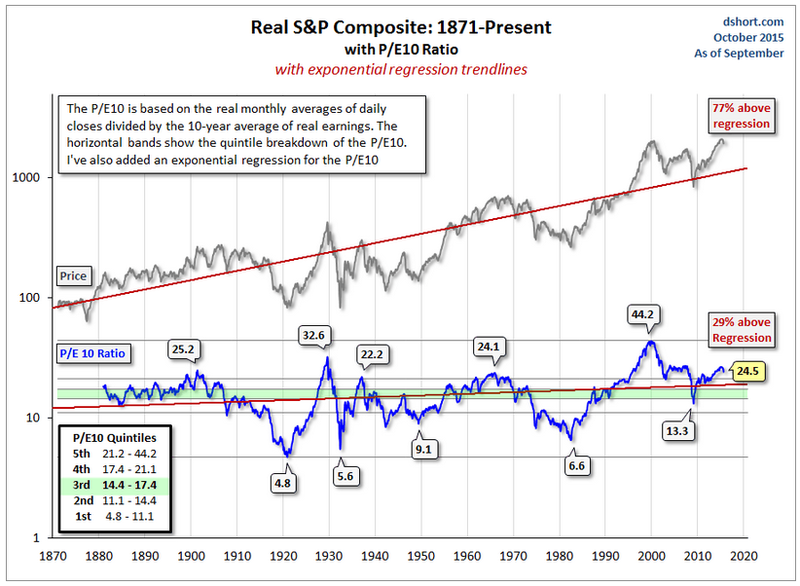 Pillar One: Price to earnings ratios are sitting at levels where stocks have previously put in secular bull market tops. For a full discussion on P/E ratios and secular markets see: Secular Bear Market Review: Sentiment & Valuation Surrounding U.S. Stocks. You can see in the chart below the P/E ratio for U.S. stocks still remains in the 5th quintile (extremely expensive) after falling just off the highs seen earlier this year. Pillar Two: Profit margins are one of the most mean reverting economic data points in history. Why? Because competition always enters the market. Pillar Three: Stock buybacks and dividend payments are actually the most frightening. These were largely paid for with borrowed money; corporate debt and/or junk bonds. 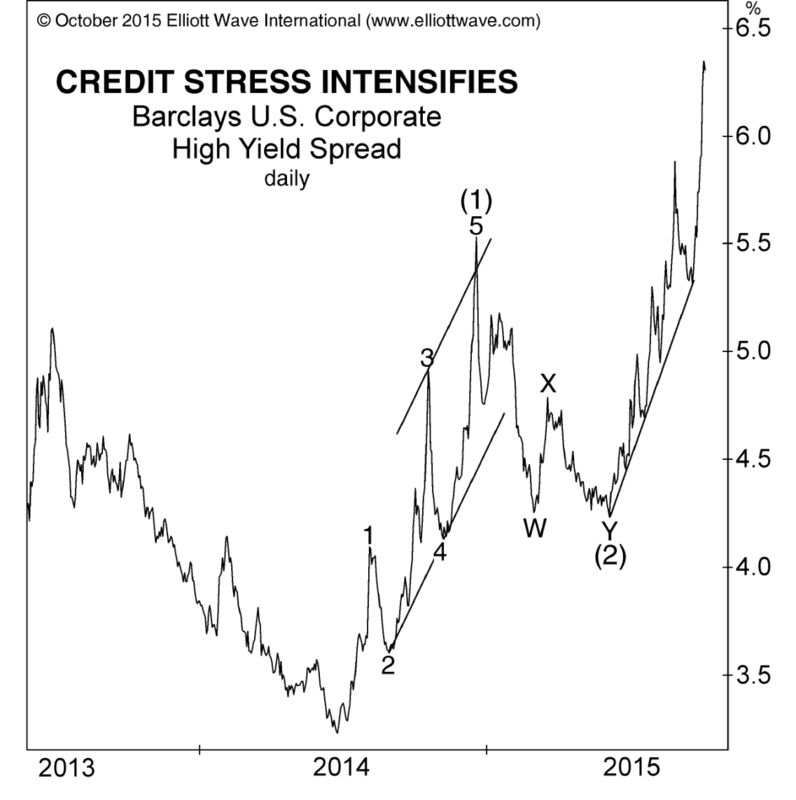 As you may have heard over the last few weeks the junk bond market has already begun to implode (see chart below) and corporate debt rates are rising. 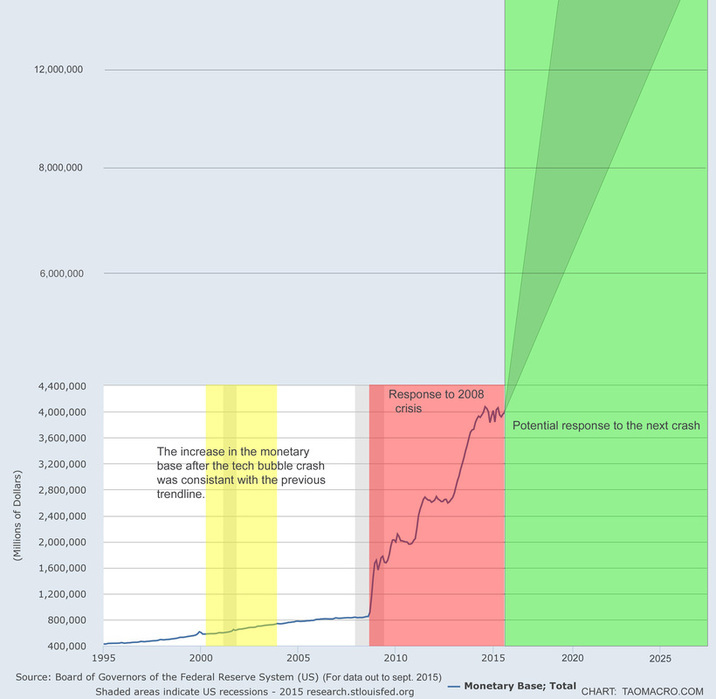 As soon as it is no longer profitable (or possible) to borrow money to buyback stocks corporations will stop. If the market begins to fall corporate insiders will retreat from their purchases. Remember corporations always buy back the most at market peaks and disappear like cockroaches at market bottoms (when they should be buying). This is due in part to human psychology and in part to the way decision makers are paid; meaning they try to cash out and prolong the party as long as possible at the expense of future quarters which will be on someone else's watch (and bonus period). No asset class that has become the darling of global investors goes up forever (U.S. stocks have been the darling asset class since early 2012). Eventually mean-reversion returns and what you experience on the way down is a series of waterfall panic declines, similar to what we saw in August. Moves tend to be more violent on the way down because hot money tends to enter markets late and when they realize the trend has been broken they quickly exit. Looking from a behavioral perspective, investors fear losses far more than they enjoy gains. This fear creates irrational selling during declines, which tends to peak at capitulation bottoms. Another reason for waterfall declines is the build up of margin (debt used to purchase stocks) on the way up. As prices rise, so does confidence in future price gains and the courage to use debt to purchase more stocks. This strategy did not work out well for the Chinese over the past year, and the story will end the same for U.S. markets. The instabilities in the financial system are already baked into the cake like a fragile snowbank resting on the side of a mountain. It is not a question of whether the snow bank will become an avalanche, it is only a matter of when it will occur. People spend their lives trying to figure out which snowflake will create the instability that moves the entire snowbank, hoping they'll be able to time their exit from the mountain before that snowflake hits the surface. 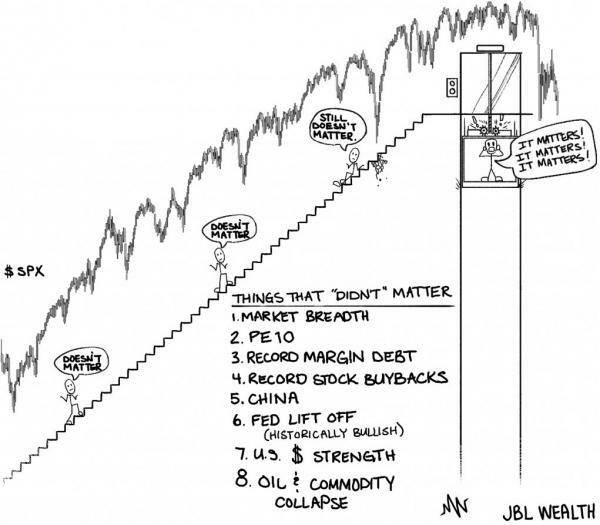 This is exactly what we see throughout the markets and financial system. 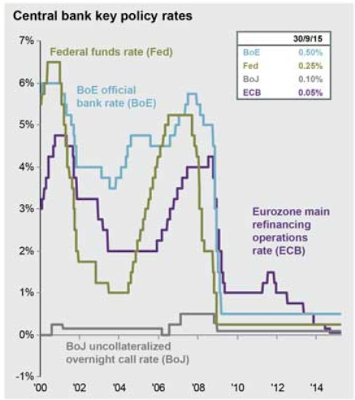 Central banks have built an unstable snowbank that looks perfectly calm on the surface. The snowbank has been building for so long people have completely forgotten the reason for the last collapse. 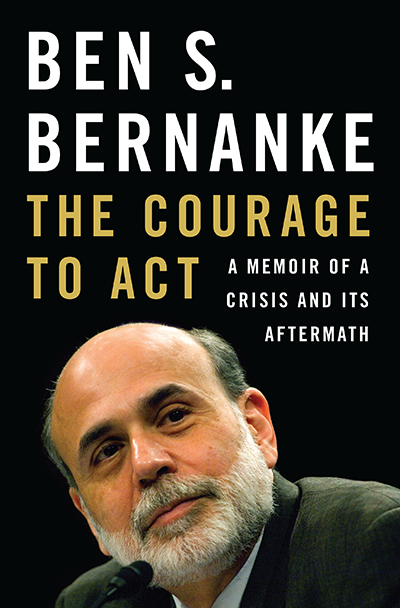 Nowhere is this more noticeable than Ben Bernanke's recent media tour promoting his new book "The Courage To Act." By "act" he means printing trillions of dollars, saving bankrupt companies and holding interest rates at 0%. Those that understand finance know true courage would have been letting bankrupt companies fail and raising rates to protect the middle class savings of America. Just as the perspective surrounding Greenspan shifted from the "savior of the world" to "the man responsible for destroying it," people will eventually look back and understand it was Bernanke who was/is responsible for the next major crisis. If we know the markets are unstable and we know the most expensive markets represent the most danger (U.S. stocks), then the question is not whether stocks will ultimately continue their decline, but what will happen next? What happens if we enter a global recession at the same time one of the major economic swans enters a crisis (for example, China experiences a hard landing)? The Fed's response (QE4) will most likely make the first 3 seem small in comparison. The better question is, what is the ultimately endgame? 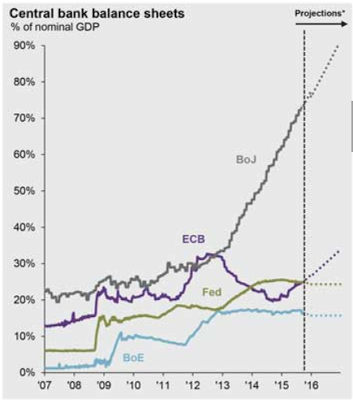 This will occur when one or all of the major central banks loses control and credibility within the financial markets. 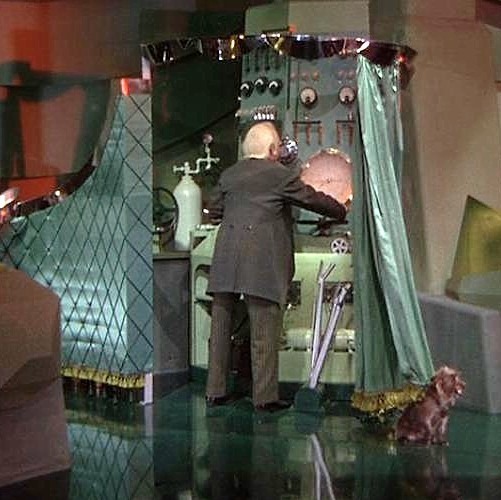 Can the Fed engineer another artificially recovery in asset prices? Maybe, but they are moving closer to the point when the markets no longer believe in their "magic powers." You could feel this begin to happen over the past few weeks if you were paying close attention. After they announced they would not be raising rates the U.S. markets sold off. They immediately began sending out their "talking team" to say that they still plan to raise rates in 2015 because the economy is strong. They have already begun to chase their tail, and when they lose control people will look back years from now in disbelief that market participants actually regarded them with some kind of godlike power. The "Fed behind the curtain" has fooled an entire generation of investors. When the curtain is pulled there will be chaos and opportunity for those who have been patiently waiting.